deliciously organized: i heart coffee in a bowl. i heart coffee in a bowl. today I tried the delicious brioche bakery for brunch where they serve lattes in large bowls. Such a pretty latte !! I made coffee this morning - twice! the first pot exploded. 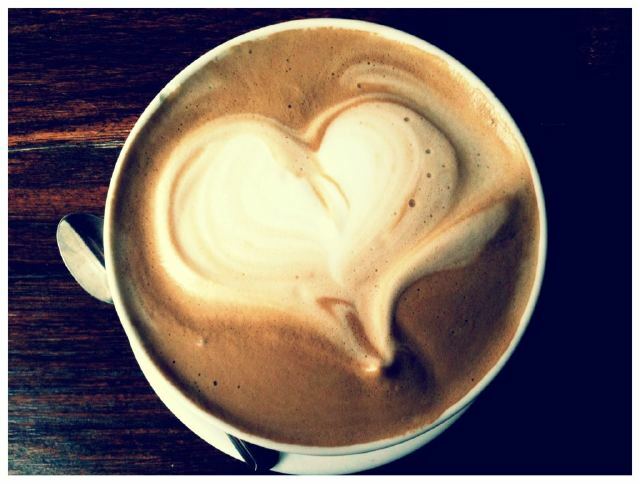 I wish I had this cup with the heart - would have made my morning start off much better than it di!